Company «North House» deals with manufacturing of timber houses, saunas, garden houses and other timber structures based on the hand log cut. Construction of the houses by hand method is obviously expensive and time-consuming process as any manual work but it has a number of undeniable advantages over any other construction technology. It should be noted that in the end these advantages define the quality, individual features and long life time of the log structure. Only highly skilled and qualified employees with the long term experience in construction of timber houses work in our team. They are masters of various technologies of hand log cut (Russian, Norwegian, Canadian) and can build a timber house of any complexity and of remarkable quality in the very short terms. Advantages of manual assembly are in quality, individual features and long life time of the log structure. 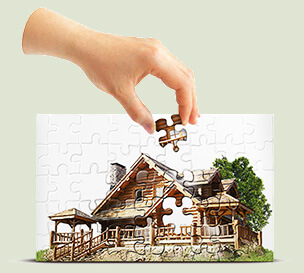 Construction of timber houses by hand method is a very hard and time-consuming process. In our company «North House» we tried to find every possible solution to make the labour of carpenter easier. We constantly develop, buy new cranes, sawmills. 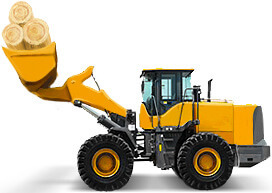 Today our company is the leader among the competitors in the equipment and construction machinery that we use. It allows us to reduce the cost of the square meter, increase the quality of timber houses and shorten construction period. Our company has received international quality certificate EMI # A-206/2008-1, that allows us to deliver our houses to European market and conform the compliance of our houses to European standards. In our company you can order an independent timber house construction expert and use his services at any construction stage or control all construction stages with his help. Large carrying capacity, precision and high speed of lifting equipment.